3. Fares quoted are one-way fare inclusive of government taxes, fees, ticketing service charge and surcharges. 6. No child discount. Infant fare for infant without a seat under 2 years is 10% of adult fare. 7. Same day early show is not allowed. 8. Not valid for Group Bookings. 9. 10% Mileage accrual for Economy. 10. Baggage Allowance – Fare is inclusive of 7kg hand-carried baggage, 20kg free baggage allowance to/from Manila, and no free baggage allowance to/from Clark/Cebu/Davao. 11. Valid for sale in the Philippines only. 12. Other travel conditions apply. 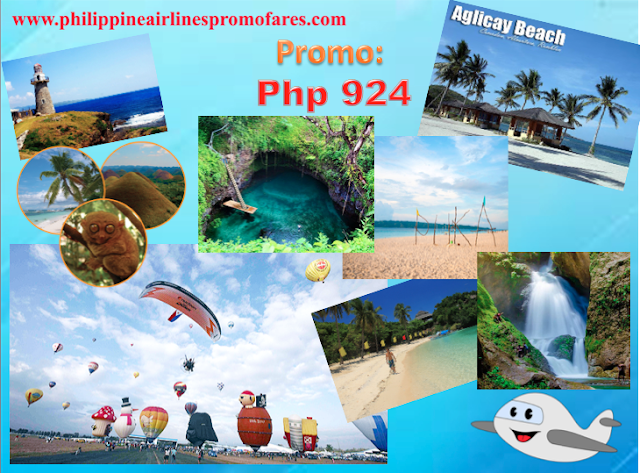 Book your flights now at www.philippineairlines.com or your tour package at www.swingaround.philippineairlines.com! 2. Fares quoted are inclusive of government taxes (except Philippine Travel Tax), fees and surcharges. Taxes and charges are subject to change with or without prior notice by the authority. 7. No child discount. Infant fare for infant without a seat is 20% of adult fare. 10. Not valid for Group Bookings. 12. Mileage accrual - 10% Mileage accrual for Economy and 125% for Business. 13. Baggage Allowance - Fare is inclusive of 7kg hand-carried baggage. Free baggage allowance will vary per route. 14. Philippine Travel Tax is applicable to Philippine passport holders, foreigners holding a Philippine resident visa, and foreign tourists or expatriates who have stayed in the Philippines for more than one year. 15. Fare is refundable when application for visa is denied; subject to a fee. Passenger must show proof of application and denial at any PAL ticket office. Flight reservation must be cancelled upon passenger’s receipt of visa denial or 7 days prior to departure, whichever is earlier. For visa denial within 7 days prior to departure date, PAL will collect a No-Show fee unless booking is cancelled 24 hours before departure date. 16. Other travel conditions apply.